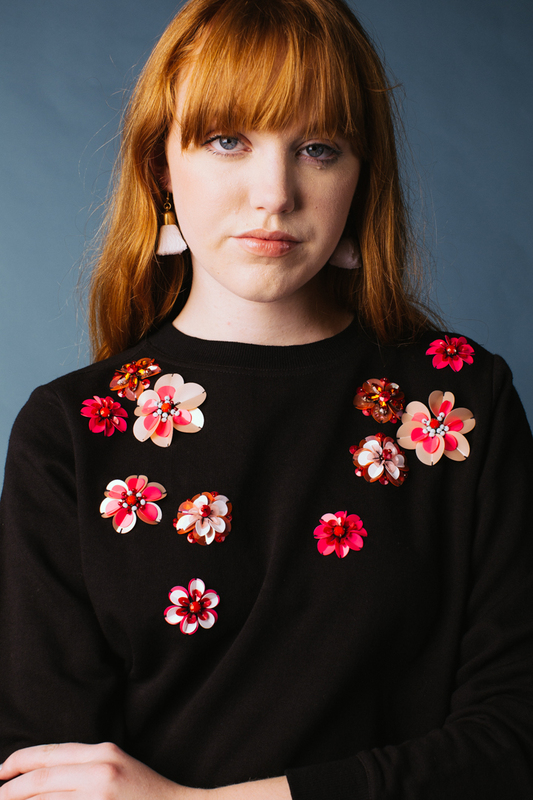 Featuring show stopping blooms which prove florals aren’t just for spring, our classic black crew neck sweatshirt is embellished with layers of crystals and colour pop sequins. 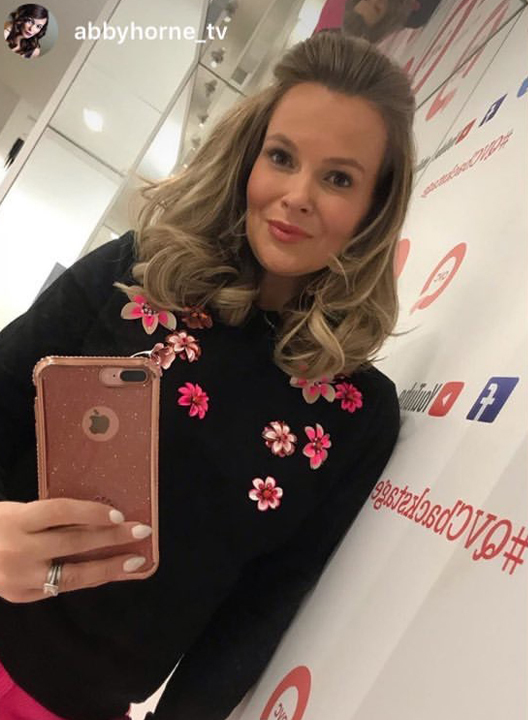 AS WORN BY TV PRESENTER ABBY HORNE. 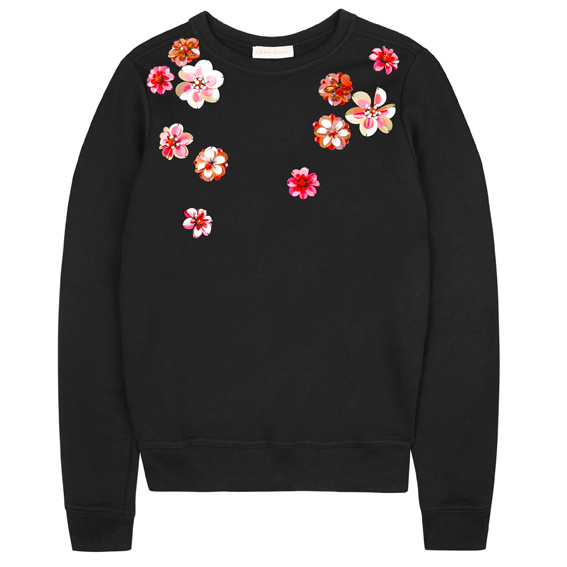 Details: Embellished with crystals and sequins. 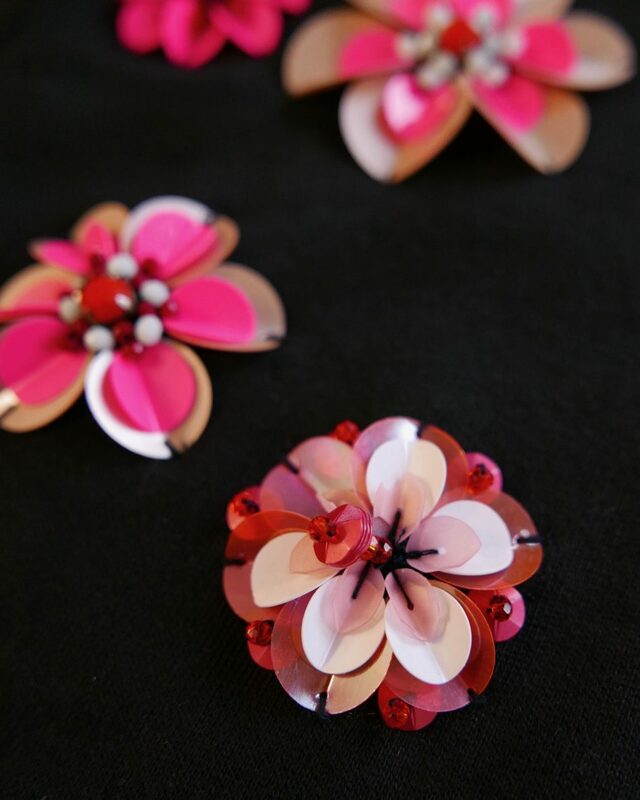 Each Uzma Bozai Piece is hand produced by artisans taking up to 15 hours to embellish. Any Natural imperfections are part of its story.